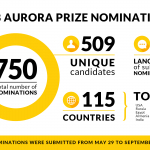 The Aurora Prize for Awakening Humanity’s Selection Committee has named three outstanding 2019 Aurora Humanitarians, recognized for performing acts of exceptional courage and their commitment to saving human life. 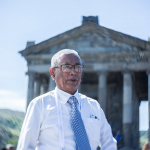 The 2019 Aurora Prize Laureate will be announced at a ceremony in Armenia on October 20, 2019. 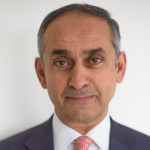 With a $1 million award the Laureate will get an opportunity to continue the cycle of giving and support the organizations that have inspired their work. Applications for the 2019 Aurora Humanitarian Project for UWC schools and colleges are now being accepted. 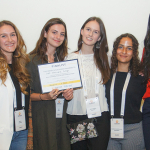 The project, recognized as “Young Aurora,” is a partnership between the Aurora Humanitarian Initiative, United World Colleges (UWC), Scholae Mundi and Teach for All. It provides an opportunity for UWC schools and colleges to design projects that will drive positive change in the community through humanitarian solutions. The winning team will be awarded a $4,000 grant to implement their project. Now in its third year, 17 schools and colleges have participated in the Young Aurora Project till date. 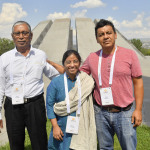 Previous project proposals have presented solutions to a diverse range of critical humanitarian issues identified near their schools and colleges in countries including Eswatini, Germany, India and China. The Aurora Forum is proud to announce that 111 influencers from political, academic, entertainment, and business sectors around the world have joined the Aurora Forum as Goodwill Ambassadors, showing their dedication to tackling some of our time’s and future generation’s most pressing global challenges. 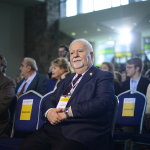 Aurora Forum Co-Founders Noubar Afeyan, Vartan Gregorian, and Ruben Vardanyan welcome the Goodwill Ambassadors as luminaries of Aurora’s vision to promote innovative and effective approaches to advancing positive social change in Armenia and beyond. 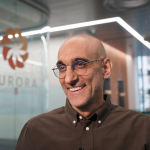 12 December 2018 – The Co-Founders of the Aurora Humanitarian Initiative have announced Dr. Tom Catena, an American physician and Catholic missionary from Amsterdam, New York has joined the organisation as Chair. The Aurora Humanitarian Initiative has announced eleven recipients of Aurora Gratitude Scholarships. 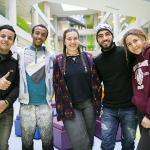 Young people from seven Middle Eastern countries began their studies at United World Colleges (UWC) around the world in September 2018. The scholarships allow students to live safely, with support and receive a strong education. 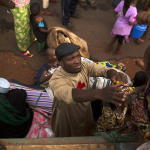 All recipients are either refugees, living with the loss of one or both parents, or come from marginalized communities. 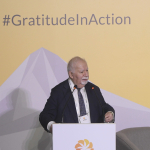 24 APRIL 2018 – YEREVAN – Today, the Aurora Prize for Awakening Humanity Selection Committee announced three humanitarians as potential recipients of the 2018 Prize. 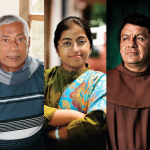 Each individual was chosen for their exceptional courage, far-reaching impact and endless commitment to preserving human life and advancing humanitarian causes in the face of adversity. 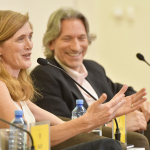 The Aurora Humanitarian Initiative announces Former United States Ambassador to the United Nations Samantha Power as the newest member of the Aurora Prize for Awakening Humanity Selection Committee. 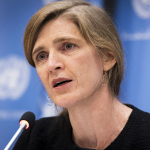 As a part of the Selection Committee, Ambassador Power will join the other esteemed humanitarians, human rights activists and former heads of state to determine future recipients for the annual $1.1 million Aurora Prize. 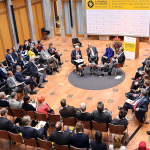 Aurora Dialogues Berlin, “Millions on The Move: Need for Development and Integration,” will explore how the European Union, and Germany specifically, can contribute to humanitarian solutions by supporting development and integration. The event will be held on December 4-5, 2017 at the Robert Bosch Stiftung Representative Office in Berlin, Germany. 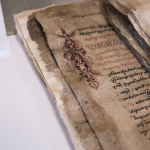 The conference is a joint effort of the Aurora Humanitarian Initiative, the Stiftung Mercator, the Robert Bosch Stiftung and the Global Perspectives Initiative. 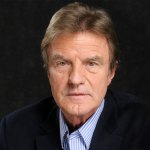 The Aurora Humanitarian Initiative is pleased to announce that Bernard Kouchner, the co-founder of Médecins Sans Frontières (Doctors Without Borders), is joining the Aurora Prize for Awakening Humanity Selection Committee. 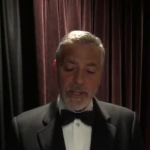 The committee, which selects the annual Aurora Prize finalists and laureate, is comprised of humanitarians, human right activists and former heads of state, and is chaired by Academy-award winning actor and philanthropist George Clooney.